It’s our job as designers to interpret a personality, a feeling, a place, an intention, and a season into the words of flowers. We don’t expect you to come to us knowing exactly what you want, – this is part of the fun! We start our design process simply by getting to know our clients. In this way the designs can evolve from people and personalities rather than revolve around favorite flowers and colors. Our process is intensely curated, detail oriented, and intentional because we believe each design is a chance to tell a unique story, through color, flower selections, and composition. The flowers may come and go, but our goal is that they will leave a lasting impression. Heart & Soil was established in 2016 because of a love of flowers and design, yes, but it’s also about more than that –it’s about community. It’s about creating a positive work environment for those that work for H&S, partnering with other local artists and businesses, supporting the farmers that grow our flowers, and doing good by the earth and soil that bears these flowers. Kelsey’s background is in environmental science and agriculture. After college she farmed in varying capacities, including: vegetable farming in Connecticut, tending a sustenance garden in Argentina, processing walnuts on a orchard in Greece, rooftop gardening in Brooklyn, and managing farm education programs in Queens. 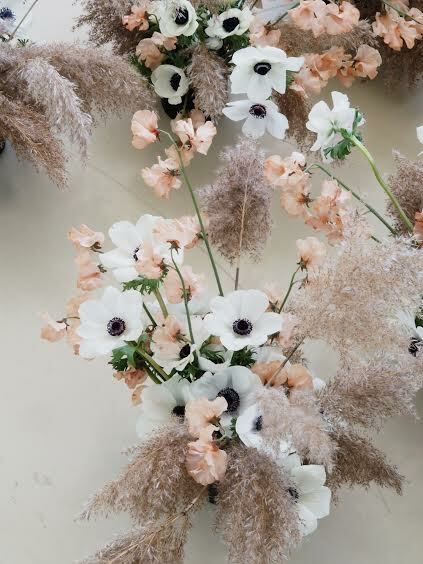 In 2016, after working under various established florists in NYC, she founded Heart & Soil which enabled her to merge her interests in creativity, art, farming, and environmentalism. The H&S team consists of a dedicated, hard-working crew of creatives: freelance florists, artists, gardeners, farmers, furniture-makers, and producers. The different skill sets make for a well-rounded, inspired, and fun-loving team.